Diagnosing a computer problem can be a daunting task even when you’re standing right in front of a Mac. When you’re doing it remotely—perhaps to help someone of less-than-stellar technical skill—gathering all the information required to figure out what’s not working can be a downright miserable experience for everyone involved. 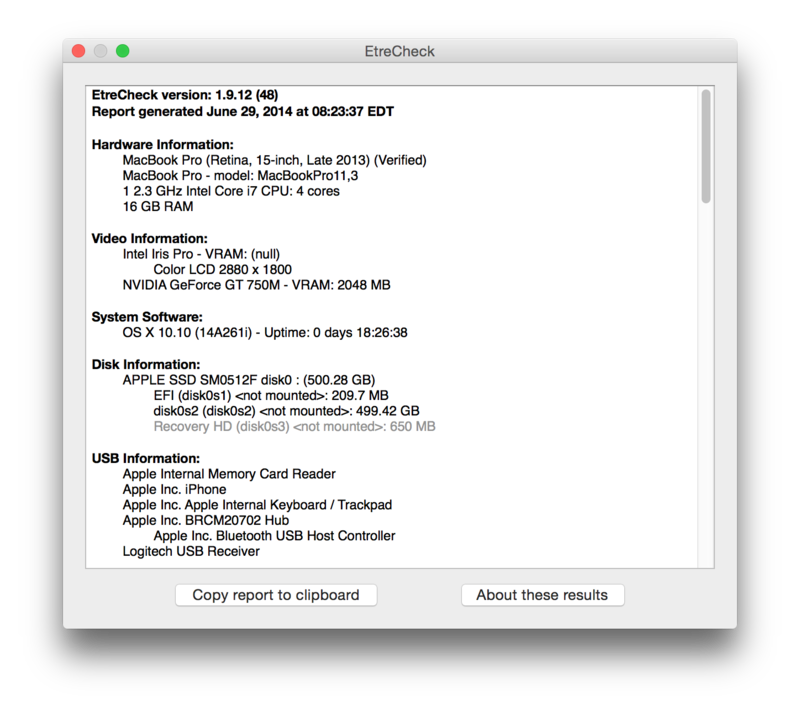 EtreCheck attempts to alleviate this problem by automatically collecting a full set of statistics about the Mac on which it runs, from its hardware components, to installed apps and kernel extensions—going as far as quickly sampling your system to determine which programs are taking up the most RAM and CPU time. EtreCheck offers a barebones interface that is unlikely to win any design awards, but it performs its job really well, producing a clear report that contains practically every last bit of data you are likely to need to identify a problem. Even if you are in front of the Mac that needs fixing, EtreCheck quickly gathers information that would normally require poking around a dozen or so sources on the machine, allowing you to focus on a solution to anything from hardware faults to misbehaving software.